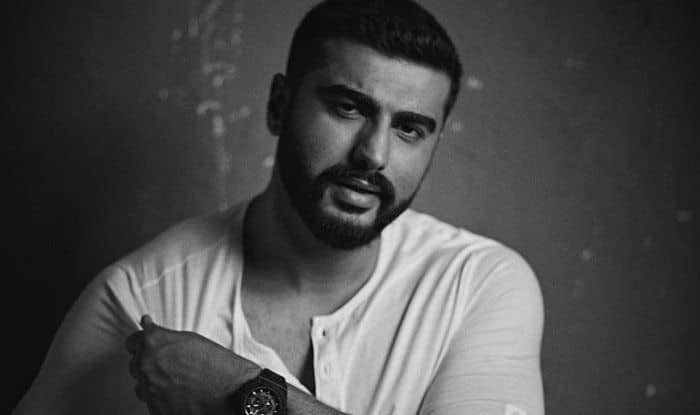 Arjun Kapoor who is currently rumoured to be dating Malaika Arora recently revealed the ‘first girl’ in his life and said that it is none other than his cousin sister Sonam Kapoor. Sonam is currently busy promoting her next film Ek Ladki Ko Deka Toh Aisa Laga where she will be seen for the very first time with her father Anil Kapoor. Earlier today, Arjun shared some adorable throwback pictures with Sonam that will melt your heart. Arjun penned down a heartwarming note for Sonam, ahead of the release of her film. He shared baby pictures of himself with Sonam, revealing that she will always be the first girl in his life who he loved hanging out with. “Me trying to get this Ladki’s attention since childhood & her finally noticing then looking straight at the camera & not me !!! @sonamakapoor from the time I remember u will always be the first ladki in my life that I loved hanging out with,” he tweeted. “So proud of u & @AnilKapoor for going out on a limb & choosing a script u believed in beyond the perceptions of the world. U r courageous & beautiful. Proud to have a sister like you. Stay the child at heart that you are & all the best for 1st feb.#EkLadkiKoDekhaTohAisaLaga,” he wrote in another tweet. Anil Kapoor commented on Arjun’s tweet and wrote, “Thank You Arjun Chaachuu. Can’t wait to show you the film.” The first picture shows a very young Arjun sitting beside Sonam with his hand on her shoulder. While the second photo shows Sonam looking straight into the camera as Arjun is busy playing with his shades. Arjun is extremely attached to his sisters and keeps sharing adorable pictures with Sonam, Anshula Kapoor, Janhvi Kapoor and Khushi Kapoor. Ek Ladki Ko Deka Toh Aisa Laga also stars Rajkummar Rao and Juhi Chawla in pivotal. Directed by Shelly Chopra Dhar, the film is slated to release on February 1, 2019. The movie is set in the backdrop of Punjab and revolves around a love story filled with ‘syaapa.’ Sonam is said to be playing a homosexual character in the film. The trailer of the movie showed her character rejecting several marriage proposals. She eventually shares her secret with Rajkummar Rao, which is implied to be about her sexual preference. Meanwhile, Arjun will next be seen in Dibakar Banerjee’s Sandeep Aur Pinky Faraar alongside Parineeti Chopra. He also has two other movies in his kitty including Ashutosh Gowariker’s Panipat, which also stars Sanjay Dutt and Kriti Sanon and India’s Most Wanted.